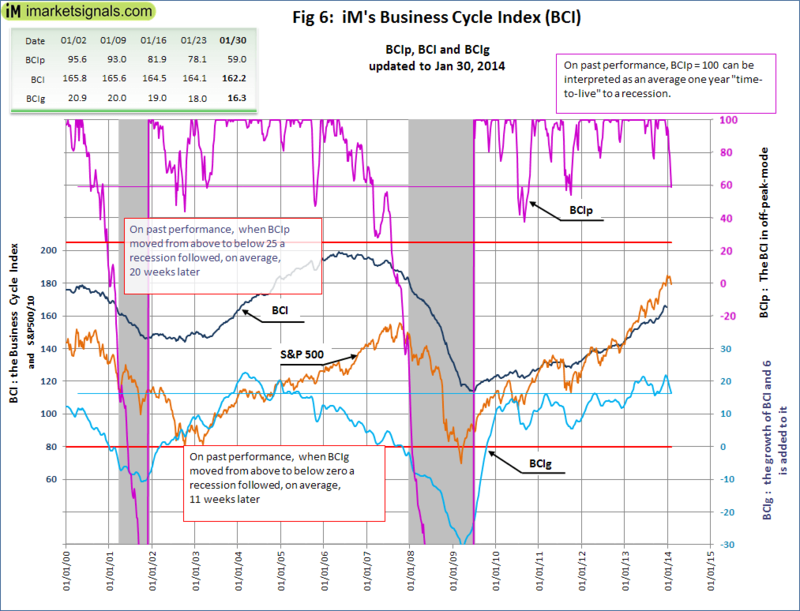 The iM Business Cycle Indicator (BCI) is at 162.2 down from last weeks upward revised 164.1. BCIg fell to 16.3 from last week’s revised 18.0. The off-peak indicator BCIp at 59.0 is down from last week’s 78.1. 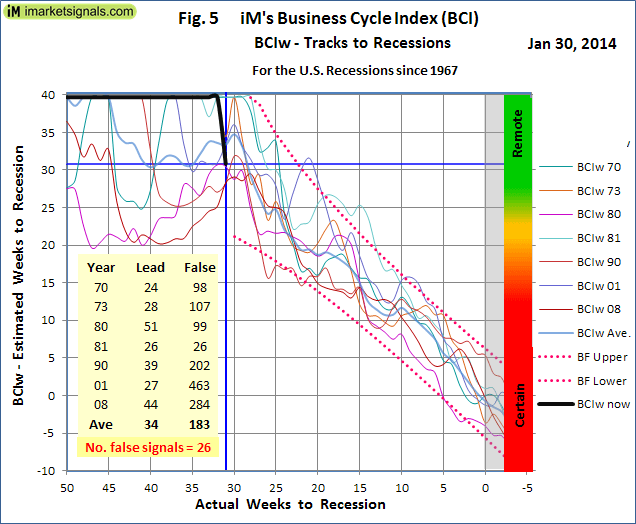 BCIw indicates a probable lead time to a recession of 31 weeks, however this signal is graded as statistically remote, thus it is evident that it is too early to make a definitive recession call.